Browse: Home / Bash Ransomware is a Simple bash ransomware. Use this tool at your own risk. Author is not responsible or liable if you damage your own system or others. Follow all local, state, federal, and international laws as it pertains to your geographic location. Do NOT use this tool maliciously as it is being released for educational purposes for use in cyber exercises or demonstrations of adversarial tools. This POST JUST FOR EDUCATION PURPOSE ONLY! 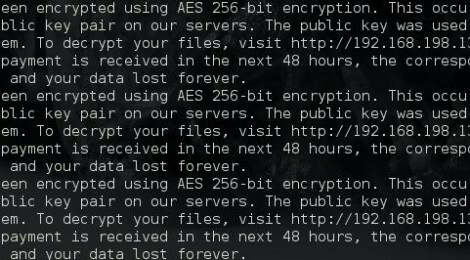 how to run and remove Ransomware on BASH. latest change : Fixed Coding Bugs. Bash Ransomware is a Simple bash ransomware likes CryptoWall. ← Bufflow is a buffer overflow testing stuff.